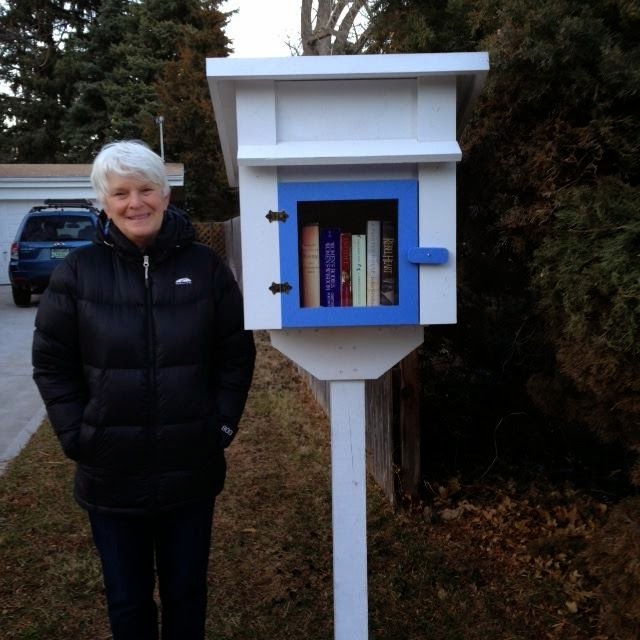 Ever since Boulder resident Heather LeMasurier first heard of a Little Free Library (LFL) she wanted one. nationwide– and she lived on a busy pedestrian street with a popular trail head at the end that saw the perfect amount of foot traffic for such a station. That, and her bookcase needed a little weeding. When Heather and her husband Wes found out their local hardware store was carrying build-your-own library kits, they didn’t hesitate to pick one up, but when the couple’s weekend purchase coincided with their son’s visit from Fort Collins, the build became a family affair. That included digging a hole in the yard in front of the house for the post that would be cemented in to support the newest member of their family– a library that Heather painted white and blue and filled with an array of her own books that she was able to part with. Not to say that Heather’s “weeds” she plucked from her inside collection are “bad books going to jail,” as Denver Post entertainment editor and blog writer Dave Burdick described in his experience with LFL contents– that is– before he found a literary gem waiting for him one day while he passed a library on his route. More accurately, Heather’s contributions to her new library were the books that she was personally finished with, but wanted to share with the world. They were books as diverse in their personalities as the passerby’s that stopped to pick them up. “A young man rode by on his bike, he was so delighted to find a book required for his history class in there,” said Heather, who also left a small notebook and pen in the library as a guestbook for visitors to sign. That’s why the Little Free Library movement is here to stay–it’s as much of a neighborly gesture as it is a book-trade. As was quoted in a February article from The Atlantic magazine, one elderly California man met more neighbors in the three weeks after he built his LFL than he had in the previous 30 years living in that residence. And, as anyone with a Pinterest account can attest, there are a whole lot of ways one can express creativity while making their own book-sharing boxes…or cylinders…or pyramids. There’s even a competition in the St. Louis area to judge which local ‘architects’ can build the most intriguing library for their community. If you’re in the Boulder-area, you’re in a LFL hot spot. That means, if you’d like to get your very own library going, there are abundant resources to assist you along the way, and just so happens, we know a few Green Vested book-aficionados who would love to help. If you have a Little Free Library story you’d like to share, please tell us about it! 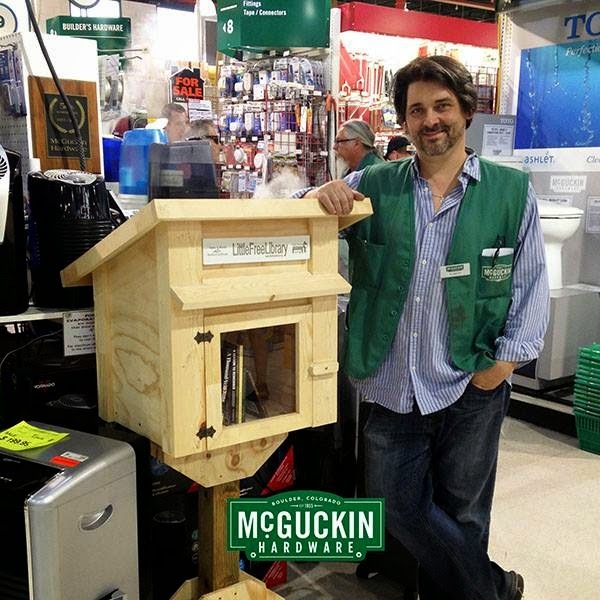 If you’d like to purchase a kit (as featured in the above photo) to build your own LFL, contact McGuckin Hardware, Colorado’s favorite everything store!